Executive Director Ralph Pfremmer says the project can be an economic development tool, much like the Indianapolis Cultural Trail. 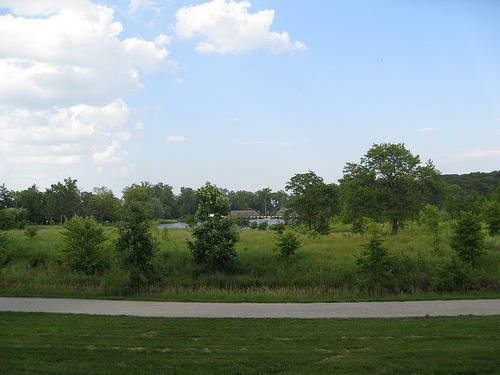 “There's been a one-billion-dollar property tax assessment increase within 500 feet of that trail in seven years - in an eight mile trail,” Pfremmer told St. Louis Public Radio. “And so we're looking at that as one of the models we are looking at. But there are other cities that are doing this as well." Trailnet officials suggest quick action is needed on the proposed network. They say St. Louis could lose economic opportunities and potential new residents to cities that already have such a trail system. 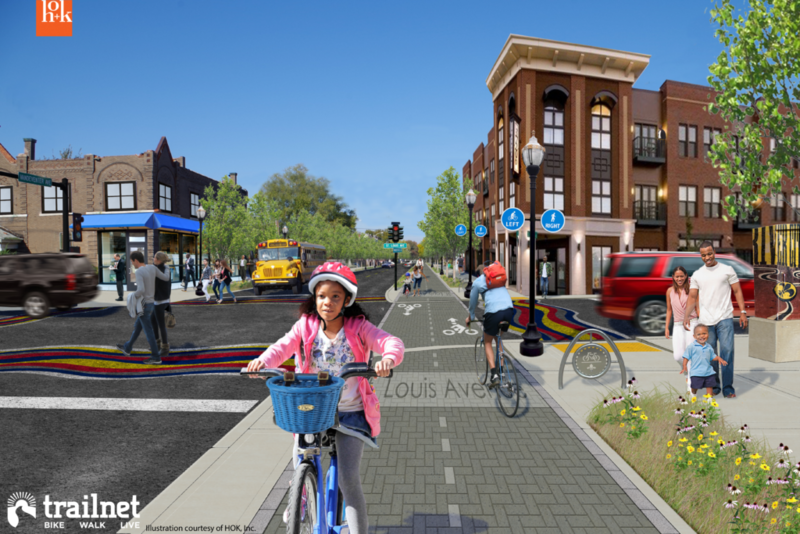 The St. Louis project has an estimated cost of $88.5 million and the plan is to fund it through donations from the corporate and philanthropic communities along with some federal transportation grants. “We don’t look as taxes as a solution,” Pfremmer said, while stressing the importance of tapping into philanthropic sources. Trailnet has spent two years in planning to get to this point. The organization has been approached by some developers who would like to see at least parts of the network in use within a couple of years. “Trailnet’s in the ambitious business. We’ve been in the bold vision business for years,” Pfremmer said. The organization has played key roles in several area projects including Grant’s Trail, and the Riverfront Trail. 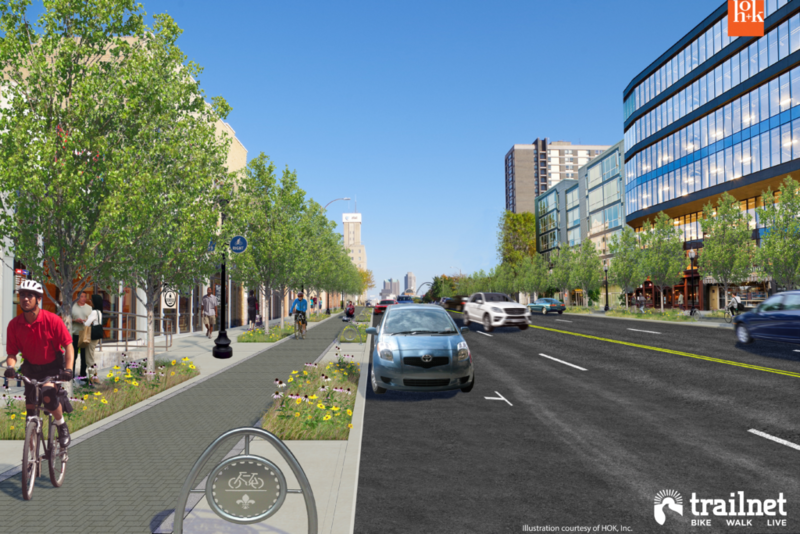 Trailnet claims a 12-mile walking and biking trail network could boost property values and business districts, while making the city more attractive to younger generations. There are plenty of details that still need to be worked out to hit that two-year goal. They include planning sessions to get public input and dealing with issues including street infrastructure, parking and zoning. “We’ve been building a lot of political will and we have to build a lot of public will,” he said. The project would use existing street right of ways. That means property does not have to be acquired to complete the trail network. A new MetroLink station and improved bike lanes are among nine possible long-range strategies being considered to transform how people get around St. Louis’ Forest Park. St. Louis officials and Forest Park Forever, a nonprofit group, reviewed the results of public input over the course of nine months, including 1,300 responses to an online survey and comments from open house meetings. They publicly presented the refined list of suggested improvements during an open house Thursday. 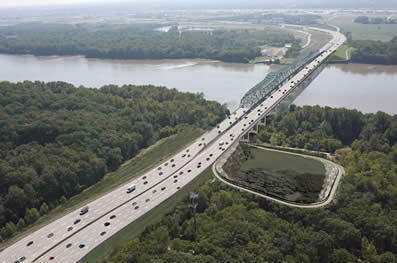 A bicycle and pedestrian trail crossing the Missouri River on the I-64 Daniel Boone Bridge opened Thursday. The path connects the Monarch Levee Trail in St. Louis County to the Katy Trail in St. Charles County. Executive Director of the Missouri Bicycle and Pedestrian Federation Brent Hugh says the path will bring more trail users into riverside communities. This article first appeared in the St. Louis Beacon: I’m a busy working woman with kids. Driving everywhere is so expensive, but biking, walking, and taking transit seems really difficult. Am I missing something? For the past 50 years, transportation engineering centered around the basic idea of moving cars as quickly as possible at peak traffic times. Prioritizing rush hour means prioritizing breadwinners, while access to other daily, local activities fall by the wayside.